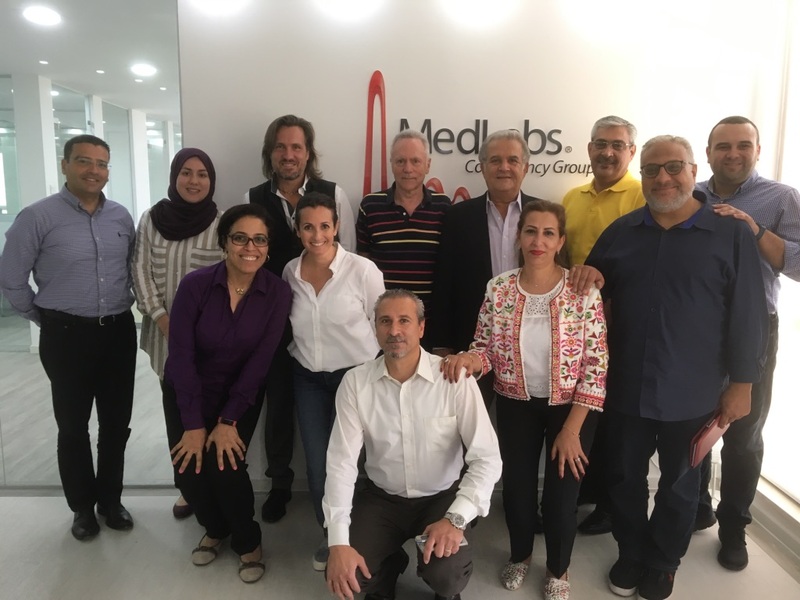 Trans4m worked for two days with the Executive Team of MedLabs, the largest provider of Medical Laboratories across the Middle East, covering Jordan, Palestine, Kurdistan, Iraq and Sudan. 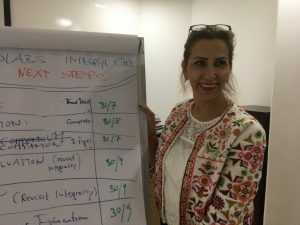 The workshop in Amman focused on advancing the company’s journey to become an Integral Enterprise. 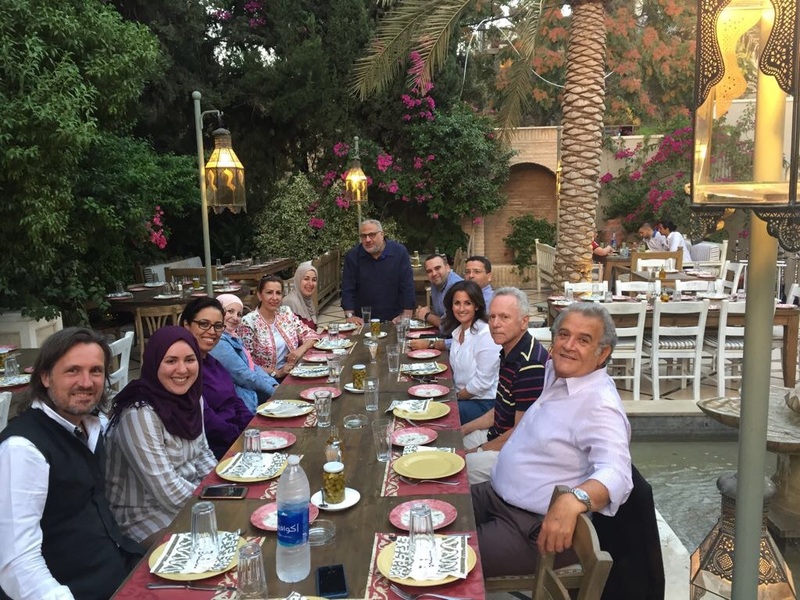 Emphasis was given to articulating MedLabs’ unfolding journey as an Integral Enterprise, which includes the evolution of MedLabs’ organizational functions. Thereby the former Marketing and Communications Department transforms into “Community Building”; the Human Resources and Organisational Development Department is shaped into “Conscious Evolution”; the current departments of Science, IT, Quality and Material Management co-evolve towards Knowledge Creation; and the Finance Department is turned into Sustainable Development. Such functional evolution is sourced by redefined “guiding principles”, including MedLabs’ lead inspiration, path and core beliefs. The process has four aims: connecting the entire enterprise to its essential values; a higher level of inter-functional integration; an improved service of the functions towards the growing number of Medlabs’s laboratories; and a higher degree of alignment of the laboratories with the organization as a whole. This entire process will be shared by MedLabs in a forthcoming publication on “Medlabs’ Life Journey” called the organization’s PULSE. The full actualization of Medlabs as an Integral Caring Enterprise is intended to take place via company-wide CARE Circles. Some of these CARE-Circles have already been established, and initial successes were witnessed, especially in relation to Community awakening (the C of CARE), while the subsequent CARE functions need to be evolved. 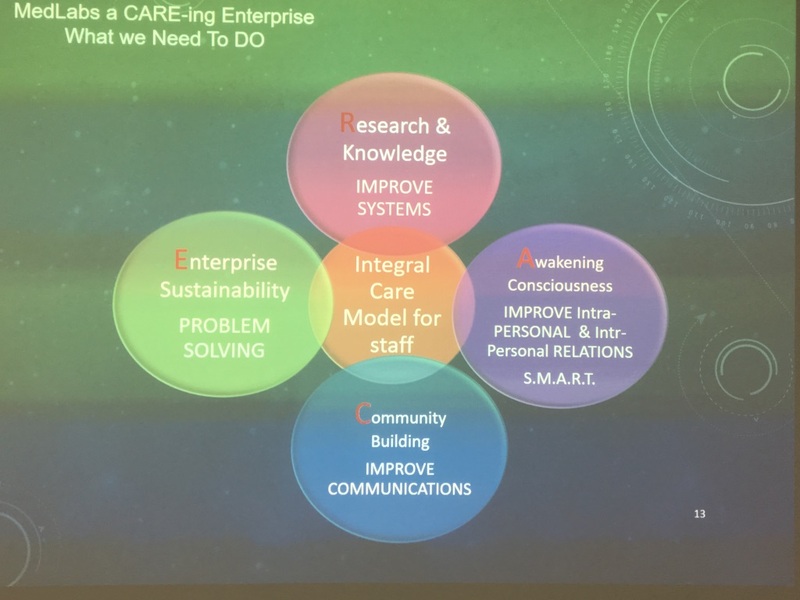 To achieve that, a new OD role (and staff member) will be fully dedicated to CARE. Furthermore, the CARE circles, and the Medlabs Life Journey, will be supplemented by a Continuous Education program, and staff orientation and indeed re-orientation, specifically related to Medlabs as an Integral Enterprise. In addition, internal audits (e.g. quality audits) will be expanded to incorporate community building, conscious evolution, knowledge creation and sustainable development. This initiative is spearheaded by the entire executive team, led by CEO Dr. Hassib Sahyoun and by Vice President (and Trans4m Fellow) Manar Nimer, whose PhD with Trans4m is the research-to-innovation driver of this significant organizational transformative process. The ultimate objective is not only to increase the integral (social, ecological, cultural, innovation-based and financial) sustainability of the enterprise; even more, MedLabs is aiming to become an active contributor to “healthy societies” – within all the diverse societies the enterprise is active in, currently and in future.